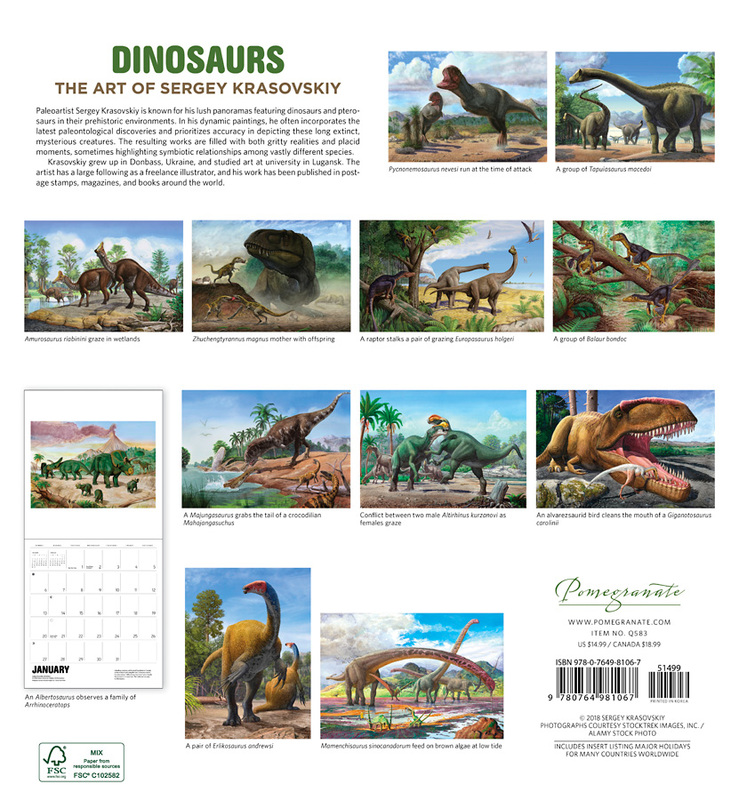 Paleoartist Sergey Krasovskiy is known for his lush panoramas featuring dinosaurs and pterosaurs in their prehistoric environments. In his dynamic paintings, he often incorporates the latest paleontological discoveries and prioritizes accuracy in depicting these long extinct, mysterious creatures. The resulting works are filled with both gritty realities and placid moments, sometimes highlighting symbiotic relationships among vastly different species. Krasovskiy grew up in Donbass, Ukraine, and studied art at university in Lugansk. The artist has a large following as a freelance illustrator, and his work has been published in postage stamps, magazines, and books around the world. All of Pomegranate’s calendars are printed with soy-based inks on FSC® certified paper, which means the paper has been certified by the Forest Stewardship Council™ and manufactured by an FSC certified printer. FSC certification promotes responsible forest management by ensuring that forestry practices are environmentally responsible, socially equitable, and economically viable. 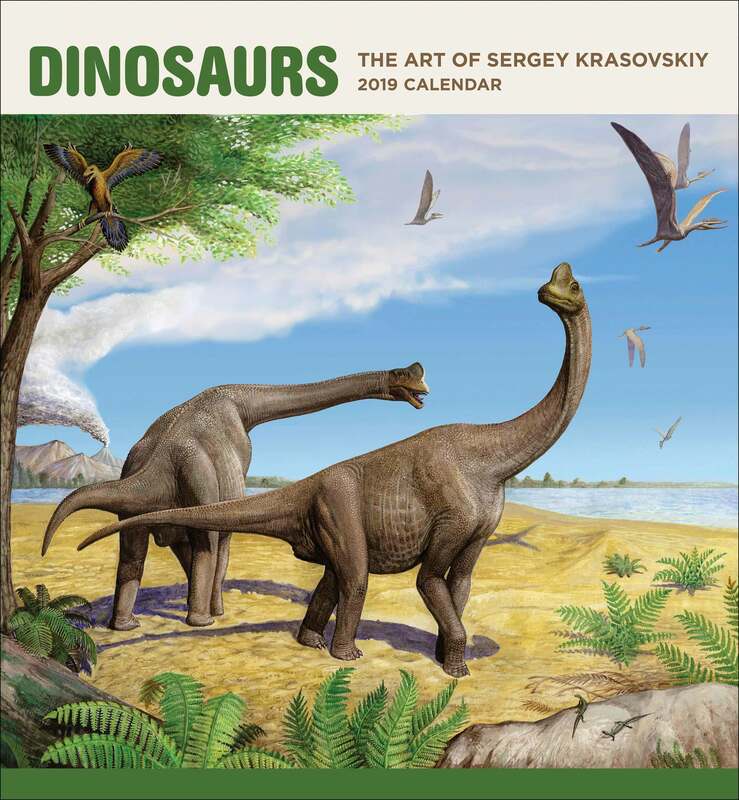 Categories: Dino Books & DVDs, Dino Toys, Plush & Merch.